Just when you thought it was safe to retire your carp rod for a few weeks, up pops another tournament in the BEST EVER YEAR for carp fly fishing tournaments. 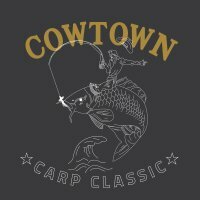 It’s the Cowtown Carp Classic, and it is hosted by the good folks at Fatties on the Fly, which is a newer business that ties flies for profit. NOTE – I am selling some of my own UNIQUE flies for this final tour event. You can purchase my Coyote Carp Flies for a limited time at 3 for $10-dollars, and the Flipino Midget at that same price. Let me know what you want, and I will bring some down. You can hit me on the PayPal button on this site – due upon order. Shipping EXTRA of course! Join us on August 17th &18th in Fort Worth, Tx for the final stop of the inaugural Texas Fly Carpers Championship series! We have teamed up with esCARPment(held in June) https://www.ethos-fly.com/escarpment-2018/ and Holy Carp! to make Texas’s first ever carp on the fly series. So now yall have three carp tournaments to look forward to in Texas! You can choose to fish one, two or all three tournaments. Tournaments are still separate and done separatly but were combining everyones scores though in the end and the person with the most total inches of carp after all three tournaments will be crowned King of the Texas Fly Carpers. Must be at the Weigh In at Texas Outdoors at 5pm on the 18th! !